Australian Warehouse Solutions stock an extensive range of Klickseal Bags. Manufactured for extra strength and durability, the AWS Klickseal Bags provide exceptional protection for storage, packaging or shipping of products in a wide range of industries. Commonly known as snap-lock bags, resealable bags or clip lock bags; the Klickseal Bags are easy to write on and are ideally suited to package items where visual presentation of contents is important. Klickseal bags are reusable, resealable and act as an excellent moisture barrier to different products. 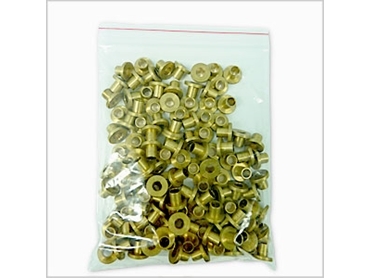 There is a wide range of Klickseal bags available to Australian Warehouse Solutions’customers.